All issue quantities are approximate and only include data for 1867 - 1873. †Gibbons identifies variations in the botton left ornament and colour varieties (pink and red) in the 5k value. Before 1867 the Austrian Empire included Hungary and Lombardy & Venetia. Until 1867 Franz Josef was Emperor of Austria-Hungary-Hungary. He then became Emperor of Austria-Hungary and, separately, King of Hungary. A few functions (e.g. the War Department) remained Austria-Hungary-Hungary! In 1867 the establishment of a separate Hungarian Monarchy was agreed, and a separate stamp issue but with a common design (Scott #27-33) was used from June 1, 1867. Hungary began issuing their own design of stamps in 1871. The Hungarian part of the empire included several well known areas, among those Croatia-Slavonia, Serbia, Transylvania and what is now the Czech Republic. others. 1867, type I: In the lower left corner, at the left of '5', the small ornament is short and has three points at the bottom. 1872, type II: The small ornament is prolonged and has two points at the bottom. The corresponding ornament at the top of the lower left corner does not touch the curve. 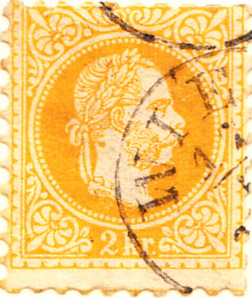 1881, type III: Similar to type II, but the ornament at the top of the lower left corner is joined to the curve. 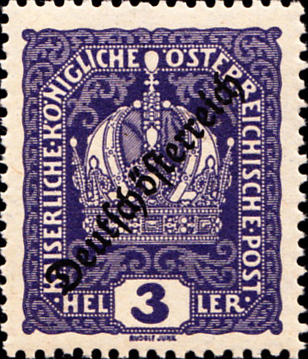 This first issue was printed with a method which produced stamps where the hair and whiskers of Kaiser Franz Josef appear coarse and thick. After 1874 another production method yielded stamps with a finer and more clear impression. 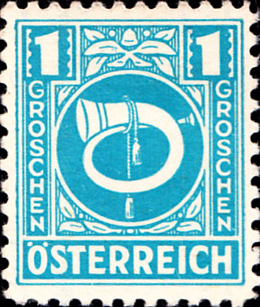 Stamps of the Austria were used prior to this common issue. Hungary issued their own stamps in 1871. We owe a debt of gratitude to Andy Taylor of the Austrian Philatelic Society for his generous help in providing the data for this page. The data presented here are based on an article in the APS magazine 'Austria-Hungary' #31: 'The Austrian Embossed Stamps 1858-1864, the numbers used' by Dr. P. Fhr. von Stritzl. Any errors in this presentation are solely the responsibility of the webmaster. Page extended in the rewrite. This narrative is based on Gibbons Part 2 Catalogue , overlaid with Scott 2008 . Austria issued its first stamp in 1850, listed as the Austrian Empire (Austrian Monarchy in Scott) which included Austria, Hungary and other smaller elements, the stamps being used throughout. In 1867, Hungary was given its own constitution and a separate government was formed, though Emperor Franz Joseph was crowned King of Hungary to establish a dual monarchy. Gibbons defines a joint stamp issue for Austria-Hungary in 1867 and shows stamps SG-AH50-AH58 in the listings for both countries. 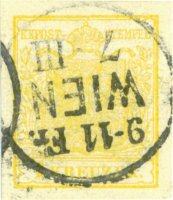 It is noted under Austria that in 1868, stamps were issued for Hungary and in 1874 for the remainder of the empire. 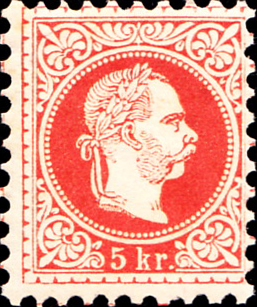 The first stamp in the Austrian set was the 5k SG62 (the 2k SG59 in 1876) and the design had not changed from the AH50, though the detail on the facial hair is clearer. Staying with Austria (the Hungary details are here), the next event is the First Republic at the end of WW1. Hungary became a separate state and the other provinces of the empire were distributed amongst other European countries. 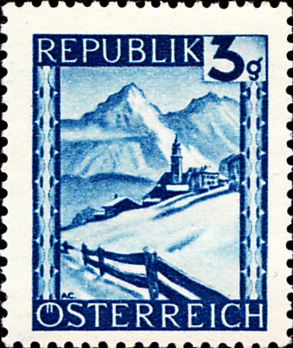 The first Republic issues were overprinted ‘German Austria’. 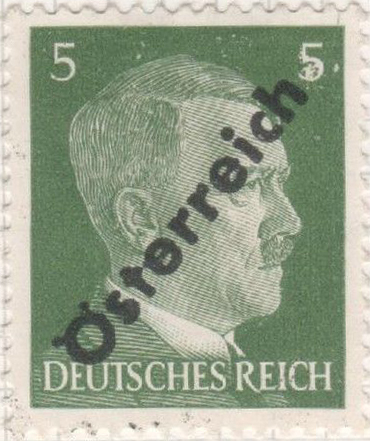 In 1938, Austria was absorbed into the German Reich and German stamps used until the Allied Occupation in 1945. Separate issues were made for the Russian Zone (initially German overprints) and for the British, French and American Zones. Later in 1945 the Second Republic was established and began with a set of pictorials. There have been no postally significant changes since. Sources: JM1, NB, SGP2 , ScC . Images from David Olson, NB, ebay.